Our gourmet caramel apples are so good, you'll be talking about them for days! 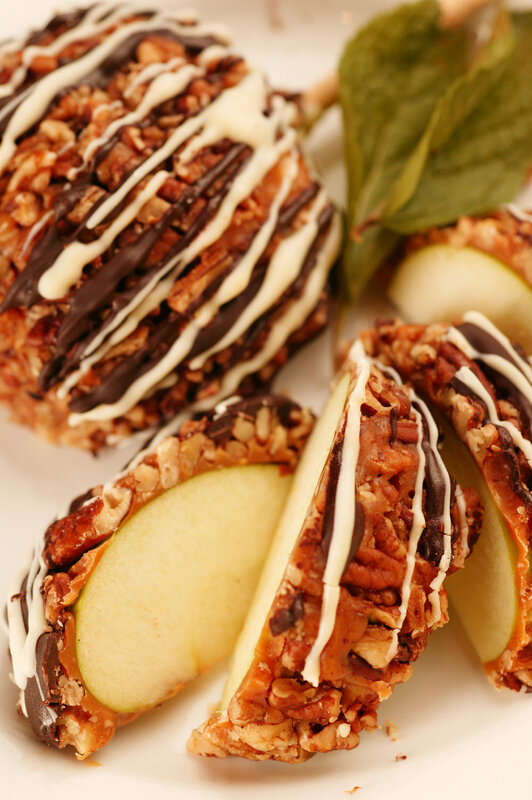 We dip tart Granny Smith apples in a rich caramel, roll them in toasted pecans, and cover them with ribbons of white and dark Belgian chocolate! Each pack of gourmet caramel apples are individually wrapped and topped with a bow and a personalized card. We ship anywhere within the continental US.